It’s a goodbye for Sport At 7, as Game On is introduced to 2fm listeners from next week. Damien O'Meara: excited by new challenge. RTÉ WILL AIR a new one-hour sports programme, called Game On, every weeknight from 7pm starting on Monday. The 2fm show will be presented by Damien O’Meara, who previously anchored RTÉ Radio 1′s Sport At 7, which comes to an end. “Game On marks a big departure for both RTÉ Sport and 2fm, and to be handed the reins of the show is both an honour and the source of great excitement,” says O’Meara today. The programme will be extended to a full three-hours on nights when there’s live commentary, putting it up against Newstalk’s hugely-popular Off The Ball. Email “Game On? RTÉ to take on Off The Ball with new one-hour evening sports show”. Feedback on “Game On? 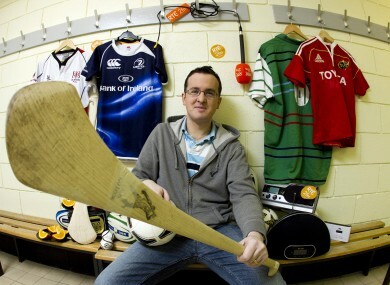 RTÉ to take on Off The Ball with new one-hour evening sports show”.